This Sankey diagram was posted as a sample on the e!Sankey Forum. 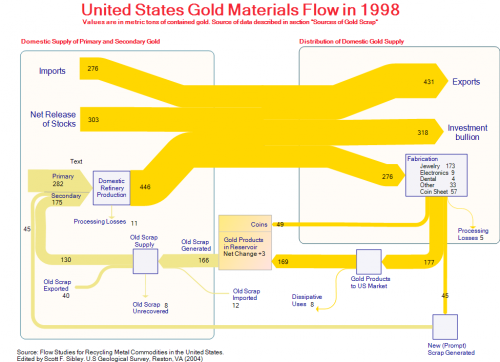 It shows the gold flows in the United States in 1998. 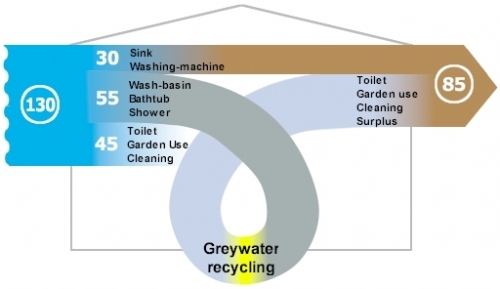 The original data is from ‘Flow Studies for Recycling Metal Commodities in the United States’ (edited by Scott F. Sibley. U.S Geological Survey, Reston, VA (2004)). Values are in metric tons of contained gold. 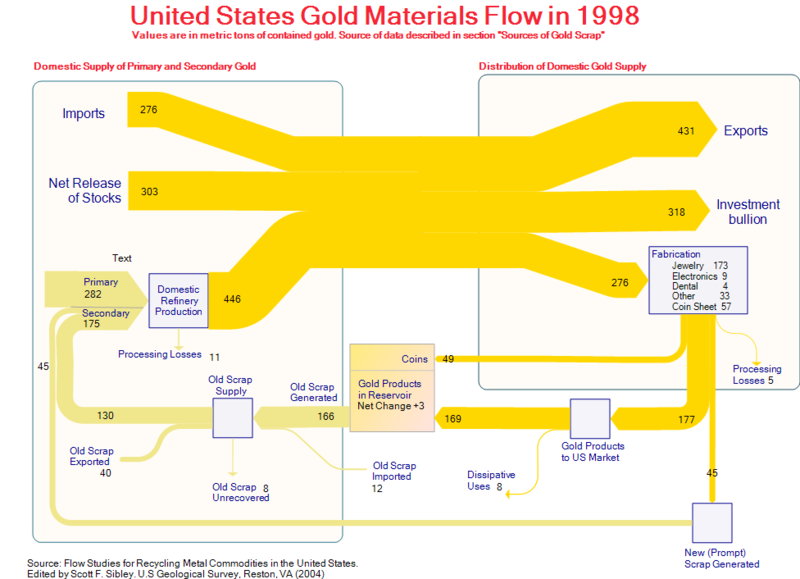 The left part of the diagram shows domestic supply of primary and secondary gold, as well as imports to the U.S., the right part distribution and use of gold. The U.S. is a net gold exporter. 318 metric tons gold bullion went to Fort Knox (presumably) that year. 276 metric tons were fabricated into products, mainly jewelry. At the same time 175 metric tons of new and old gold scrap were recycled. Along with the 282 metric tons out of primary production they are fed back into the production cycle. The diagram has gold/light brown colored Sankey arrows that go along well with the topic. A text label has been forgotten in the left part. 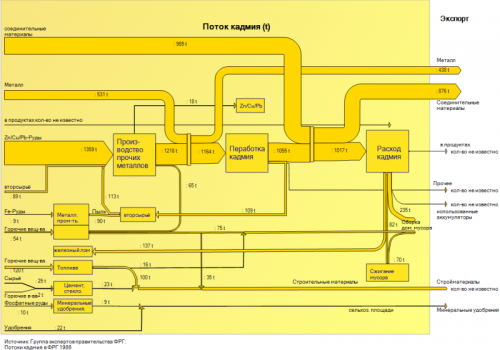 Recently they had a post with a sample Sankey diagram in Russian. A short interpretation is difficult for me this time, as I don’t understand Russian. I can detect a copper, zinc and lead flow labeled with element names (Cu, Zn, Pb) and iron. One color is used for all flows. The quantities are in tons. 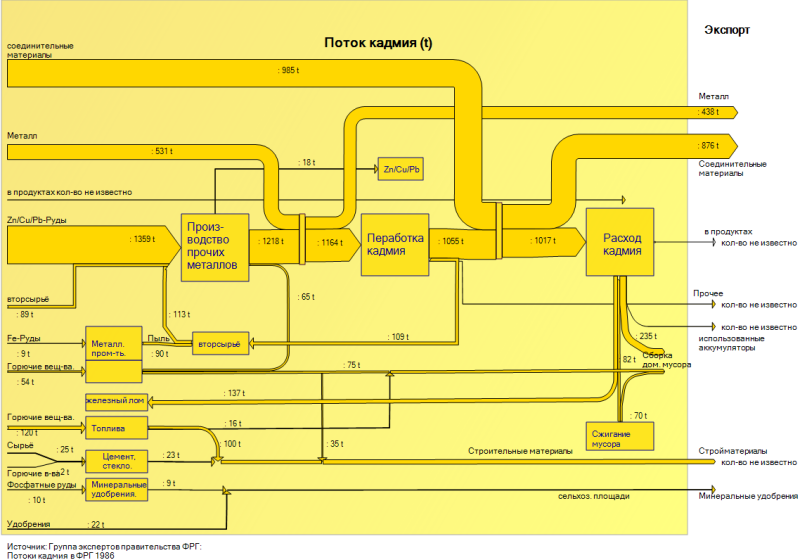 Anyone can explain more of this Sankey diagram?